Contained within the mystery of Eternity are gifts that God has given us that we may access in our temporal flesh. These gifts from God benefit us because they are of the realm of the eternal and can affect our eternal nature (the soul). 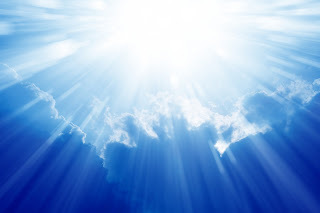 God in His wisdom who made the soul eternal but the flesh to die has given us gifts that profit a soul for all eternity yet while it is in the flesh.. As sin damages eternally unless repented of and repaired, the soul that does not repent of sin will have an eternal wound that it will suffer with forever in hell. But God in His goodness has given us gifts that if used with love for God can give the soul an eternal benefit. What does the scripture tell us? God is not bound by time, God cannot be bound by His creations. What are the aspects of time? Past, present, and future. Three, like the trinity. When God took flesh, did God submit to the boundaries of time? No. God in the second person of the Trinity is equally 100% God and 100% man. Yes, Jesus's flesh did grow and age as prescribed by time, but His nature as God was never bound to the timeline to which He had chosen to be born into. So what does that mean for us? This means that the life, passion and resurrection of Jesus are not moments to be seen in the past but can be used as if they are happening at present. By re-presenting to God these moments in the life of His Son Jesus, God sees them as happening now in the eternal present, not in the past. Therefore, with a heart intent on the good of another, we can re-present to God what to us is in the past, (the passion of His Son) but to Him is eternally present and an eternal oblation. Jesus gave us examples of what profits us. He said, “What does it profit a man to gain the whole world but lose his soul.? He also tells us, “The world may pass away, but my words shall not pass away.” So the Word of God is eternal. Everything that Jesus gave His Church has an eternal nature to it that can benefit us for eternity, if we will use it with good will in respect and love for God and who He is. We experience past, present and future in a linear progression. God is outside of time and is not bound by it. 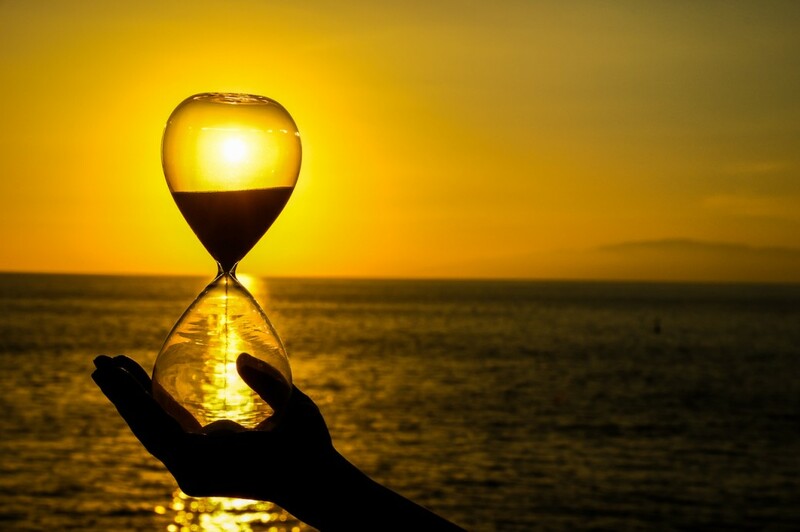 So God, experiences time as a perpetual now. He experiences the past as “now”, the present as “now” and the future as “now”. Please understand, this is not a linear progression. When God experiences a future moment as “now”, it is not that the now "is" and the progresses to the next moment, no, He experiences each moment in eternity as a “now” present before Him as an eternal oblation either bad or good. The good oblation works for our souls for our salvation, the bad, requires God’s justice. While we are in the flesh and breathe, the eternal “now” that God experiences of our sins has only one remedy and that remedy would also have to be eternal, the blood of Christ. So the oblation of Christ is eternal, and able to cover an eternal wound of sin that would justly land us in Hell. We only have access to the divine mercy of Christ's blood while we are in the flesh. Once we die we have left the transgression of time and are placed into the eternal “now” where all the “now” moments of our lives, good and bad, are presented before the throne of God for judgment. Having left "time" and stepping into eternity the state of our soul at the time of death will seal our soul at that moment. When we are before the judgement and have left the flesh, the gift of free will is no longer available and you can no longer repent . Death seals the deal so to speak, and there is no more chances to repent. While we are in the flesh we can repent, at our judgment, we cannot. Our Protestant brethren who have rejected the Sacraments have rejected a great access to the eternal and infinite God given to us THROUGH the Sacraments. The devil wished to greatly mute this heavenly access by sowing the seed of rebellion. Our protestant brethren still have the many of the gifts that God has given to his people out of love. They have the Word of God, the Holy Spirit and the Trinity. But because they have rejected the Sacrifice of the Holy Mass they may have lost some of the fear of God that can only be experienced by the heavens opening at every Holy Mass. Any Catholic worth their salt fears God and trembles with what is taking place in the Holy Mass. 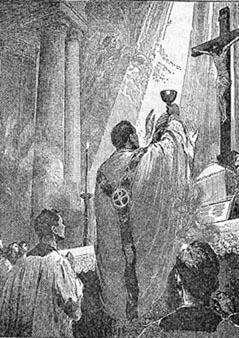 In the Holy Mass the Catholic encounters the eternal God that will someday judge him or her for all eternity. Also, the Catholic will have to give an account to how they have sacrificed for their brother or sister outside of the Church. Only a Catholic will be held accountable for our Protestant brothers and sisters that God has sent to them to sacrifice and pray for. 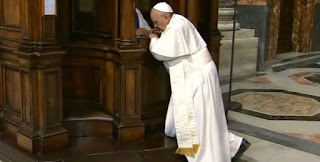 We have access to the Throne of God in the Holy Mass and as a result, is not only responsible for him or herself, but for the souls given to them to encounter in their life no matter their faith. A Catholic will always be asked about the Protestant, Atheist that was sent to them in their life, even if it is just for a brief encounter in the checkout line. The grace of the Holy Mass is a great responsibility placed on those chosen to be Catholic and this is why it is a Mortal Sin to neglect the Holy Mass. This is how Catholics change the world. 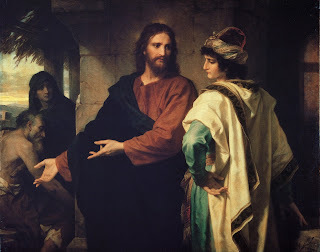 Catholics are called to provide to their protestant, atheist or other brethren not of the faith access to God's mercy by taking Holy Communion for them, pleading to God for them at the offertory of the Holy Mass and doing extra penance for them at Eucharistic adoration. But there is a catch. You see the devil seeks to be hidden in this world and work his diabolical plans very much under the radar. So to be effective in seeking God's mercy for another, you too must be hidden and seek no notoriety or attention for yourself. Do you recall the scripture where God said what was done in secret will be shouted from the mountain tops? This isn't just for those evil acts done in secret where so many people wrongly thing God does not see. But this is also applies to those who in a hidden way seek the good of another. Hidden evil must be combated with Hidden holiness. What are the gifts that benefit us eternally? I will touch on a few. 1. The Holy Mass. - We have access to the Throne of God. This truly is the moment when Heaven touches earth. 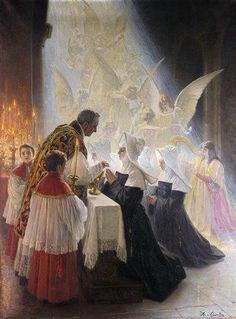 The Holy Mass is where the angels dwell. 2. 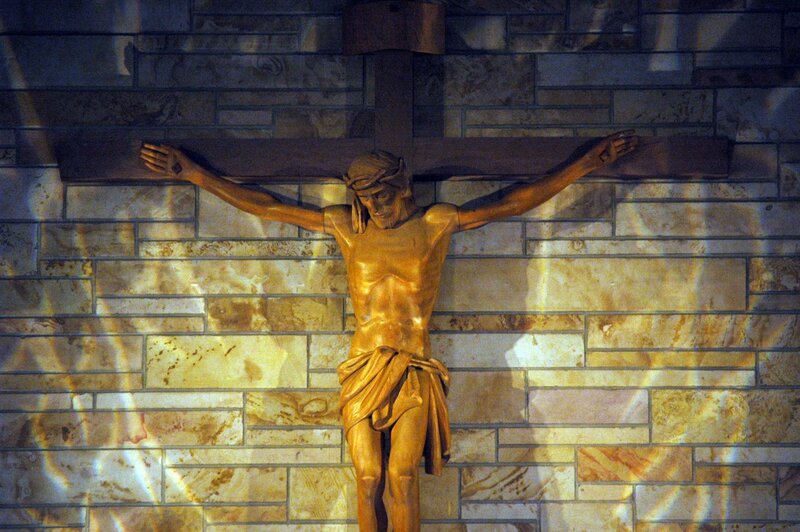 The Crucifix of our Lord. Ever wonder why the Saints constantly gazed at the Crucifix? First always because of love, but secondly, because it has a benefit to contemplate the Crucifixtion of our Lord for another. 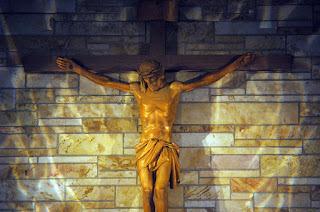 For by our adoration of the Cross of our Lord, we connect with the Passion of our Lord which is an eternal "now" before God. 3. 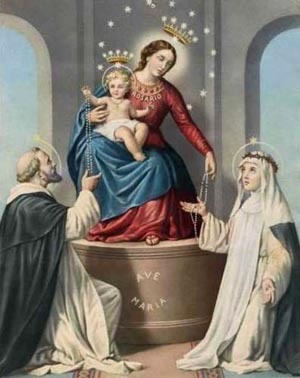 The Rosary - Both purification and mini exorcism for your eternal benefit. 4. Confession. - Purification, exorcism. You can repent of your sins verbally, but you are still chained to that particular demon until you go to confession. All of these gifts are given to us for the OTHER. The Catholic is the one that can plead to God for the blackest of hearts, retaking prisoners from the devil and retaking territory lost to sin and evil. We must fight for everyone given to us...everyone.